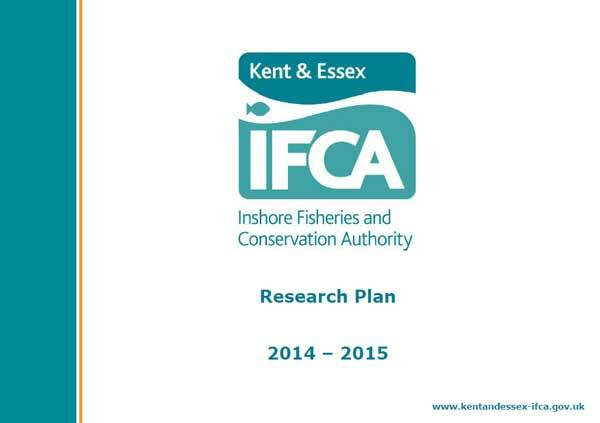 Kent and Essex IFCA has a statutory duty under the Marine and Coastal Access Act 2009 to promote the sustainable exploitation of sea fisheries resources and to seek to ensure that the conservation objectives for marine protected areas (MPA) are furthered. Research activities within KEIFCA are diverse, ranging from fisheries or MPA feature surveys to fishing activity data gathering and analysis. During 2014-15, research will focus on continued work within European Marine Sites (EMS) and Marine Conservation Zones (MCZ), in addition to specific fisheries projects. Through working closely with a wide variety of organisations and through KEIFCA surveys, we will collect and analyse data to provide evidence for management decisions, for both MPA and fisheries management.